Tiago Teixeira has made a career out of customizing automotive designs. For someone who was studying psychology at York University, Tiago Teixeira has made an interesting transition in his professional career. The 25-year-old owns and operates Sekanskin, a Mississauga, Ont., company that applies a layer of vinyl that can be designed to go on cars, trucks, airplanes, trailers, boats, bikes and more. It’s all up to the owners and their imagination. 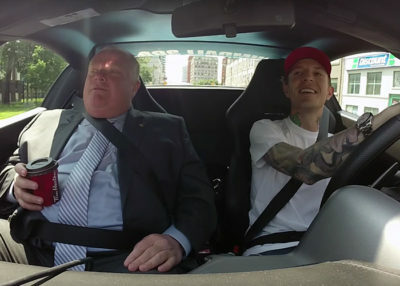 The company has only been in existence for three years, but has attracted some significant clients, including Canadian DJ/producer Deadmau5. The high-end automobile aficionado has three of his cars on display in the Cars And Stars exhibit at the Canadian International Auto Show. 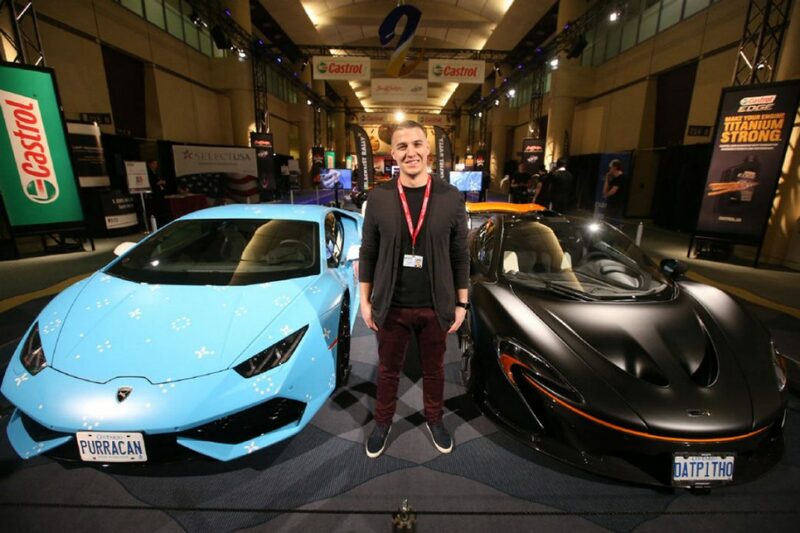 Two of the cars have interesting designs — one is a 2015 baby blue Lamborghini Huracan with a Nyan Cat theme, similar to the Ferrari the musician previously owned — and another is a black, 2015 McLaren P1 with a sleek, stealthy look. Teixeira and his team will be working on a wrap for a McLaren 650S throughout the show and will have a special unveiling on the final day, Feb. 21. Teixeira entered into the business after he owned a Mercedes with a classic panorama black roof and painting it wasn’t an option. So, he discovered vinyl and started his own company. 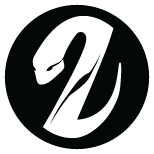 Sekanskin is a variation of ‘second skin,’ and Sekan unscrambled is ‘snake,’ which is part of the company logo. “Our vinyl artist will take an idea or concept, and when they are applying it to the work itself, some magic tends to happen almost every time,” he said. Deadmau5 contacted him one day asking for a special design on his 2013 Ferrari 450 Spider. Freelance writer Perry Lefko is a contributor to Toronto Star Wheels. To reach him, email wheels@thestar.ca and put his name in the subject line.